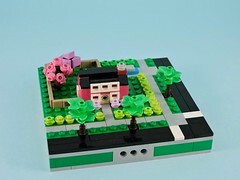 To any regular reader of this blog, it is obvious that I am a big fan of microscale LEGO. I love distilling ideas down and trying to capture their essence with careful parts usage. 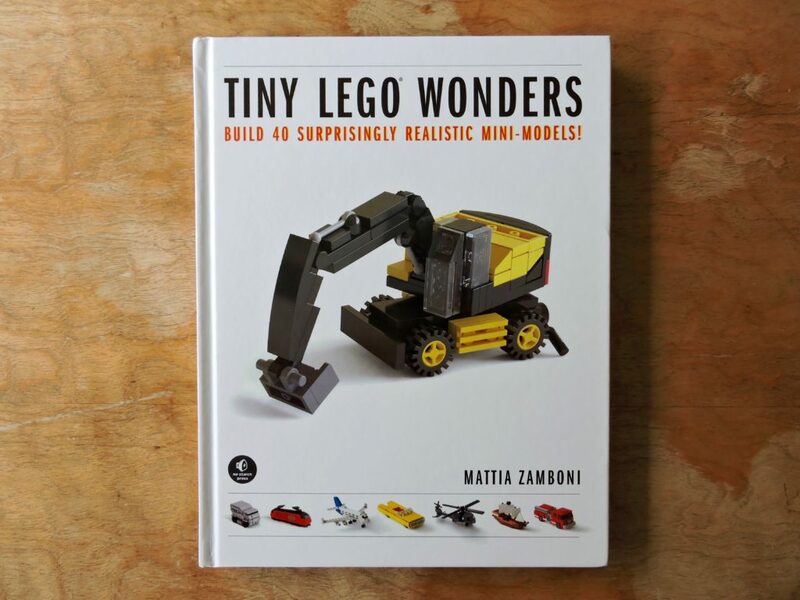 This beautiful book is full of inspiration and technique for the micro builder and I’m happy to finally get to tell you about it. Earlier this year I responded to a tweet from No Starch Press looking for model testers for an upcoming book of microscale models. I got in touch and they started sending me instructions for models that I would build and then send back photos and feedback. I built a lot of great models, from some of my favorite builders. In the end I got a modest check, some free books and my name in the credits. It was a wonderful gig and I hope to be involved in other books in the future. 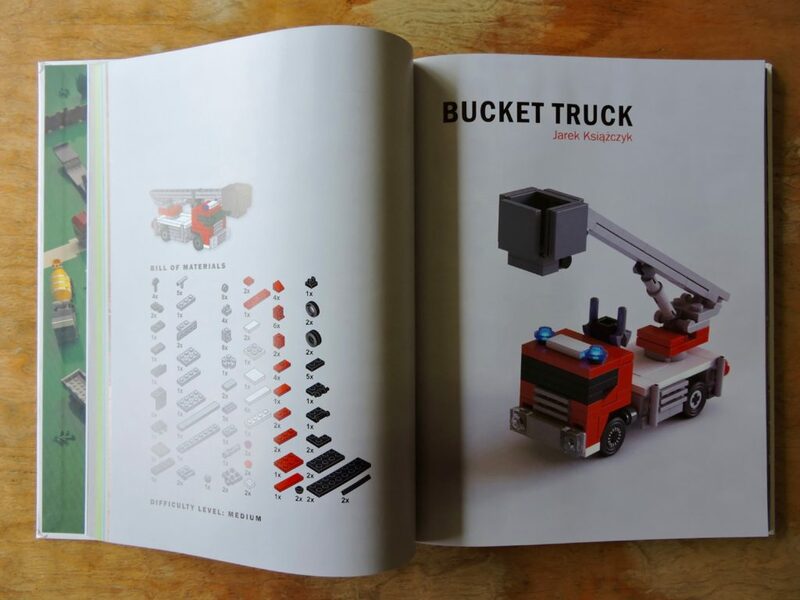 All that said, Tiny LEGO Wonders is a book that I would have been excited about even if I didn’t have my name in the credits. Mattia Zamboni has assembled a diverse and exciting selection of models that should appeal to a wide range of builders. Right from the start, this book delivers. Big, beautiful scenes like this introduce every chapter and provide a great taste of how epic a microscale build can be. 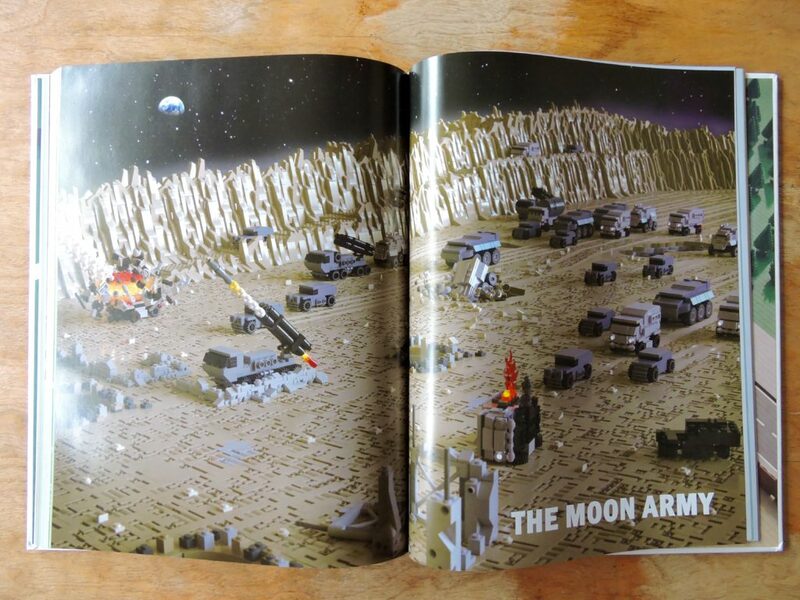 All of the images in the book are renders, but they are so clean and detailed that they feel like the real deal. 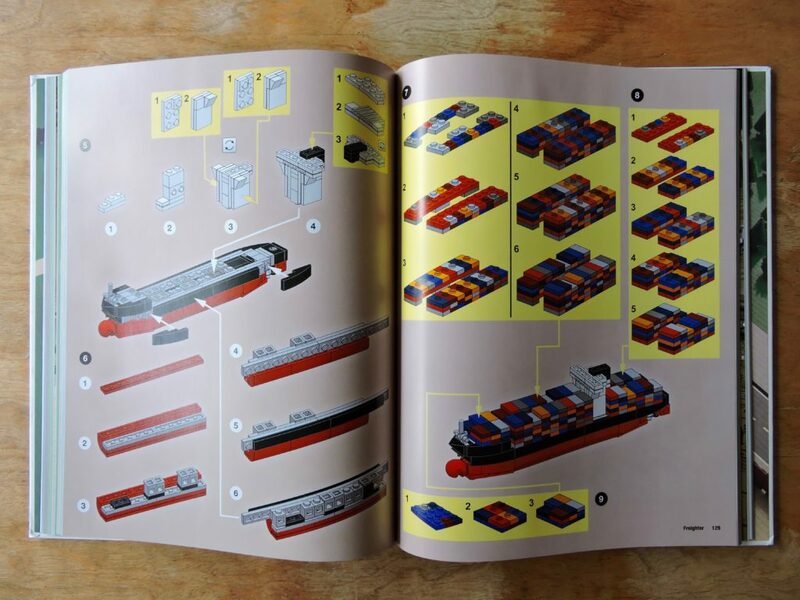 Inside, there are ten chapters devoted to different types of vehicle. There is a little something for everyone here with trains, airplanes, automobiles, and ships. There is even a chapter of futuristic military vehicles. Each model is introduced with a large picture and a detailed list of the parts needed. The colors are well represented in the inventory. The step-by-step instructions are well laid out, with detailed sub-assemblies. The production quality here really shines. My only real complaint is that some of the models in the book rely on elements that aren’t readily available and could be expensive to acquire. Most of the train models use elements that haven’t been in production in years, so completing them may be difficult for readers that don’t have extensive collections. 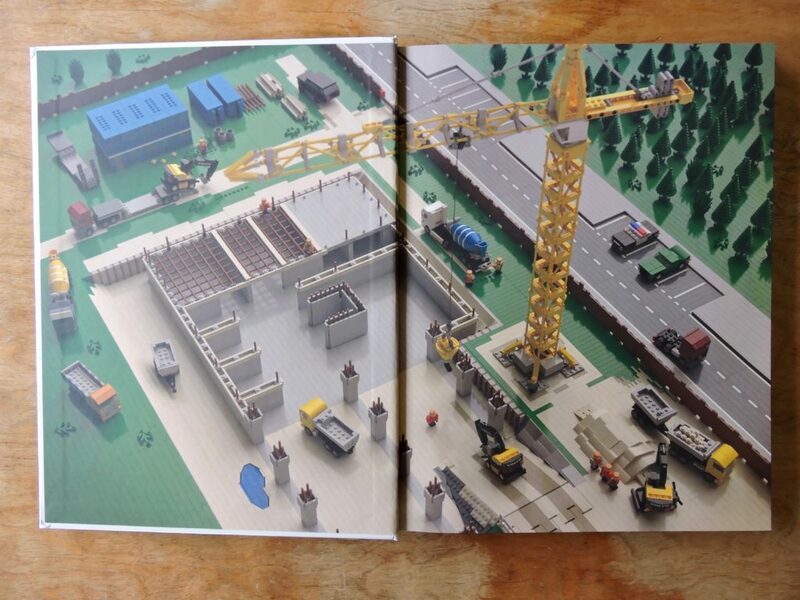 I really appreciate the variety of styles in the book, with builders from all around the world represented. There are so many interesting techniques inside and I suspect that this book will become a regular reference. I do wish there was a bit of commentary on the models, but the large diagrams in the instructions should be enough to sate most any reader. 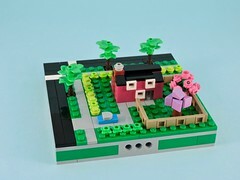 Beyond the obvious appeal to builders, Tiny LEGO Wonders would make a great coffee table book. This is the kind of thing that anyone with a creative bent to enjoy and the large format and bright illustrations are captivating. If you’re sitting on the fence about this one, don’t. Do yourself a favor and pick up a copy when it comes out next week (or buy an ebook version now).